1 Kilo (1000 Gram) Silver Bullion Bar 999 Fine. 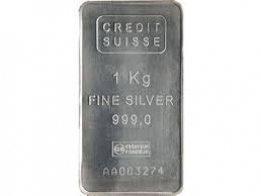 All bars sold are 1 KG silver bullion investment grade bars, and contain a minimum of 999 fine investment grade silver bullion. The bars all are guaranteed to be supplied from an LBMA approved refinery. 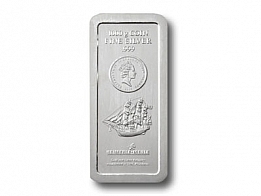 This bar is the an excellent low premium silver bar option for individuals looking to invest in silver bars. 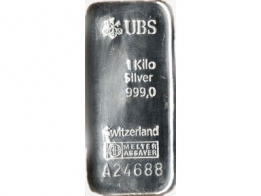 These 1 Kilo silver bars are the lowest premium silver bars that we sell. For investors looking to build up a position in silver bars, these are an excellent option. 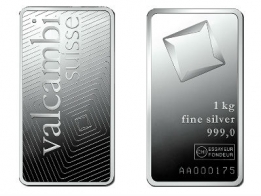 All low premium 1 KG silver bars are available for Swiss vault storage, which is VAT exempt. To sell low premium 1 kg silver bars, please contact us. View the current silver price per Kilo.